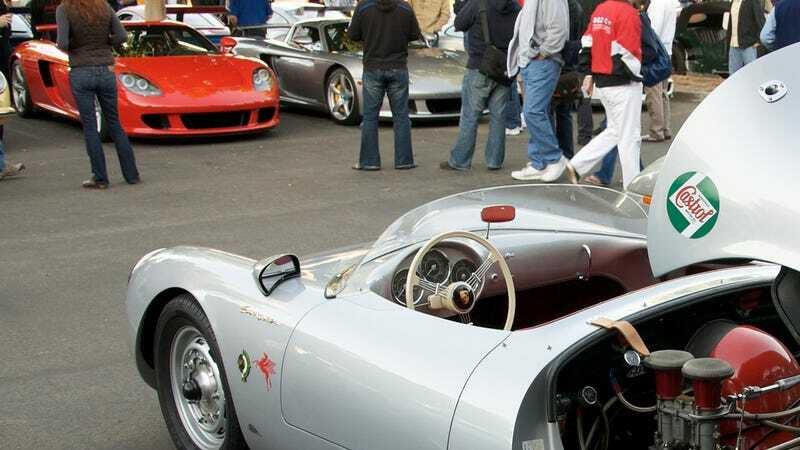 The Millionaire Car Club reports that C&C Irvine, the big one, the original one, the one that's held in the parking lot of Ford and Mazda HQs, isn't just ending — it has already come to an end. The next scheduled event is cancelled, they claim. Rumor has it that there were noise complaints from the owners of a hotel and apartments that are under construction next door. The organizers of C&C Irvine have been asking car owners to "keep their revs low" this entire year and there has been as consistent police presence outside the event to discourage burnouts. [...] The event is held in a lot that is adjacent to office buildings occupied by Taco Bell, Mazda, and Ford. There is speculation that the Irvine Company, which owns the nearby residential construction project is behind the complaints of noise. There is no official confirmation of the cancellation on Cars and Coffee Irvine's official website, though there is this thread on their forum that claims everything after the December 27th meet is d-e-a-d dead. There are postings showing up on FB and elsewhere that the C&C Irvine event is being shut down following the Dec 27th event. The event has moved and re-invented itself before so it it likely that it will not die but just move to another location. You need to keep an eye here and on other forums because it may be that the event will not be going after Dec 2014 until a new location happens. Hopefully what is now quite possibly the greatest car meet anywhere in the world will not completely collapse.